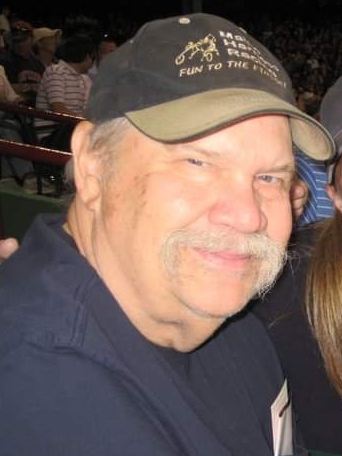 Cumberland Center – Edward R. Rohr III, 72, lovingly known to all as ‘Bamps’, passed away peacefully on March 18, 2019 at the Gosnell Hospice House after a brief battle with cancer. He was surrounded by his loving family at his side during his final days. Bamps was born in Exeter, NH on September 8, 1946, the son of Edward ‘Rudy’ Rohr II and Eleanor Jewell Rohr. He graduated Exeter High School in 1964. He then started cooking at Weeks Restaurant until he entered the U.S. Army in 1966, where he served as a Private in Germany for 3 years. While serving, he was a kitchen supervisor and participated in the Army band, receiving a National Defense Service Medal and a Good Conduct Medal. When he returned home he worked for Oyster River School District as the Food Service Director for 8 years. In April of 1980, he opened The Rohr Family Restaurant in Exeter, NH, which he ran with his brother, David, for 17 years. He then moved on to become head baker for the Rockingham County Complex in Brentwood, NH for 13 years. Bamps is predeceased by his parents & brother. He is survived by his children Douglass Rohr (Rebecca) of Strafford, NH, Gretchen Athearn (Mark) of Cumberland Center, ME and Heidi Rohr Nickerson (Jimmy) Malta, NY; 6 grandchildren Heath DeButts, Matthew & Kyle Athearn, Hunter & Haley Rohr, and Emery Nickerson; nephew Adam Rohr (Jaclyn) and niece Amanda Rohr (daughter Kylie); and best friend Don Harmon (Joan) of Gray, ME. Bamps was hard working and dedicated to everything he was involved in. He was passionate about so many joys in life. He was an avid sports fan and was a season ticket holder for the Boston Celtics and UNH Mens Hockey for years. In his younger days he had many hobbies that included bowling, golfing, snow plowing and wood splitting. He loved to play cards, especially cribbage and poker, and he enjoyed going to live music concerts of all types. He was very fond of summers spent on Bow Lake in Strafford, NH his entire life. After he retired, he became very dedicated to his coin collecting hobby, buying and selling rare items through his business on eBay. But through his entire life, his biggest passion was harness racing. He grew up frequenting race tracks with his father and continued on the tradition with his children. In 1989, the dream of owning his own racehorse came true when he purchased the mare ‘Knightly Blue Girl’ and he has continued to own horses ever since. He genuinely loved the sport so much, and he passed that love to his children as well. He was very proud of all his children and the work ethic he instilled in them. In the most recent years, he could always be found at the track rooting on his grandson, who is working on becoming a professional harness driver, which was another dream come true for him. The family would like to thank Mercy Hospital staff and Gosnell Hospice House staff for their kindness and loving care of Bamps over the past two weeks. Family and friends are invited to a Celebration of Life Service, Monday March 25th at 2:00pm at A.T. Hutchins Funeral Home, 660 Brighton Ave, Portland, ME. Immediately following the service, all are invited to a gathering at Scarborough Downs (Lower Clubhouse) to continue the celebration of Bamps’ life. In lieu of flowers, please consider a donation to the Maine Harness Horsemen’s Association Scholarship Fund. c/o Donna Dubois PO Box 436 Augusta, ME 04332.